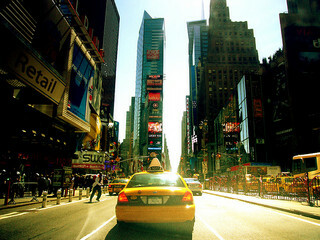 Following on from 2010's successful Digital Mission to NYC trip, this will be the fourth Digital Mission to New York, taking place 18th - 22nd February 2013 to take advantage of the 150+ events taking place as part of Social Media Week NYC. The packed programme builds on the Digital Mission's momentum and relationships with New York-based entrepreneurs, agencies, and digital practitioners to create a cracking line up of activities. The trip will be aimed at fast-growing UK firms in the digital and agency sector focusing on media, marketing, advertising, real-time bidding, big data, app development, analytics, professional services (design/technical/UX/game development) any suppliers to the marketers in agencies and major brands. 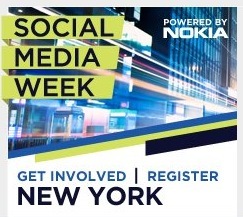 This trip will coincide with Social Media Week NYC, allowing companies to explore the 150+ events, covering extensive topics along the vein of social media thoughout the week - meaning there'll always be something going on! As a Digital Mission delegate, you'll get a Social Media Week Premium Insider Pass. This allows you to attend SMWNYC Hub events, for free, without registering and you'll also get invites to the official Opening and Closing parties. A draft Digital Mission programme is available now and is being updated regularly. All of the above costs include one delegate per company (unless stated otherwise) and exclude VAT, travel & accommodation costs. There will be a small charge for extra delegates at £150 per person. Travel & accommodation packages available starting from approx £940 p/p. UKTI London has made available a limited number of grants for companies taking part in the mission. Applications can be made through UKTI London once your company has been accepted onto the mission. The £500 grants are paid retrospectively as a refund towards expenses. If you're outside London, funding may be available from your local UKTI Trade Advisor, drop us a line for contact details or visit the UKTI website. If other grants become available, we'll be sure to update this page as well as @digitalmission. We have partnered with Expose Travel who have put together two fantastic travel packages, including flights on BA (economy and premium economy available) and staying at The Milford Hotel in Times Square - both packages are very reasonable and start at £942 per person. This isn’t compulsory and you’re welcome to make your own arrangements. Return transfers by private coach from Airport to Hotel. Accommodation at the Milford Plaza Hotel in single or twin/double occupancy room inclusive of local tax on a room only basis for 4 nights from 18th February 2013. Price per person in single occupancy - £1018.00 per person to include all the above. Accommodation at the Milford Plaza Hotel in single or twin/double occupancy room inclusive of local tax on a room only basis for 6 nights from 18th February 2013. Price per person in single occupancy - £1202.00 per person to include all the above. Please note: if you choose to travel home on Friday 22nd you will miss the Social Media Week VIP Closing Party but no other mission activity.